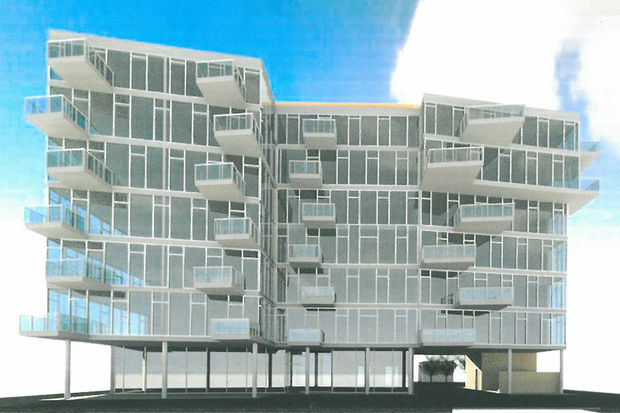 A seven-story condominium tower has been proposed for South Shore, the first in a decade. SOUTH SHORE — The first new construction condominium since the real estate market collapse 10 years ago has been proposed for South Shore. 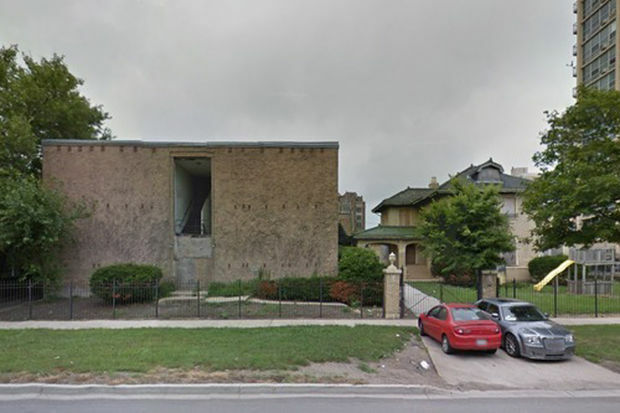 Developer Carlton Knight is proposing a 24-unit condominium building at 6740 S. South Shore Drive, the site of a failed plan for a 30-story high rise in 2006. Knight said at this week’s 5th Ward meeting that he is in negotiations to buy two buildings that were the former home of Mighty God Christian Academy and which JFJ Development gutted during its own plans for condos. His plans are more modest than the previous developer, with a proposal for a seven-story condominium building with units selling for between $375,000 and $600,000. JFJ had plans for a 30-story condo tower, later scaled back to 19 stories, in what in retrospect seemed like a clear sign the real estate market was overheated. The owners have for the past two years tried to sell the property with views of the lakefront and the South Shore golf course for $529,000, a fraction of the $3.4 million they paid for it in 2006, according to Cook County property records. Knight’s proposal would be the first new construction condominium building in South Shore in a decade and could be the first sign that developers’ interest in condos for the neighborhood is coming back with plans to upgrade the golf course and build the Obama Presidential Center nearby. The property was bid up during the real estate bubble to $3.4 million and is now being marketed for $529,000. For the past year, interest in rental buildings has increased in South Shore with several large deals for multiple properties from investors betting on rising rents in the neighborhood. Knight said the building would take 1½ years to build once a deal is finalized. But he is still in the negotiation phase and said he is working on a deal with the current owners and trying to bring in Washington Park developer Ghian Foreman to partner on the project.